Traverse City Comedy Festival is a-twitter … or is that a-tweet? The tweets are already rolling in to #comedytc on Twitter. 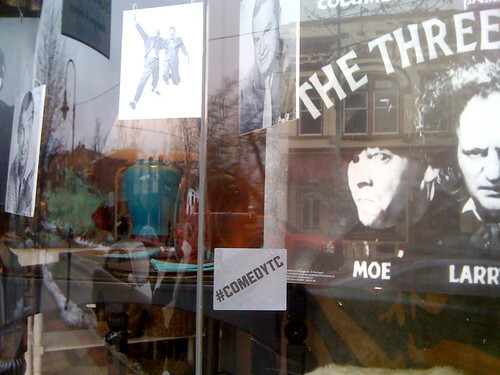 Stickers like the one above from the festive window of Stewart Zacks in TC are urging folks to share their experience at the first-ever Traverse City Comedy Arts Festival. We’ll be compiling them all along with recent blog posts and other fun stuff on the 2010 Traverse City Comedy Festival Page.